Learnings from an expert who tells you more when the recruitment strategies failed and what he learnt from them. Recruiting the right people can swing the success of an organization to positive. It is a combination of art and science... Sometimes a CEO appointment gets huge mileage, and there are times they are ousted ruthlessly. Why does this happen? What must be kept in mind for talent acquisition in leadership positions? Insufficient social capital – you have little ability to get things done through other people and fail to influence key constituencies though you’re not sure why. Being part of the many leadership recruitment strategies, I have had the opportunity to learn from them. And here’s my two cents on it. 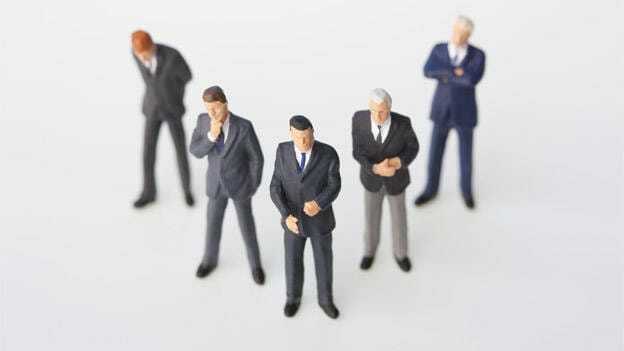 Once, we were hired to identify candidates for a specialist the CXO level. After an extensive search, a candidate whom we shortlisted on the client’s behalf, was finalized who had an exemplary conduct and a sincere attitude. This person could manage his initial settle-in very smoothly. His friendly nature helped him to build relationships of trust among colleagues and peers including the COO who was also a new hire like him. Being ‘outsiders’, both of them found a common ground to collaborate. However, signs of trouble started to show. Subordinates were indiscriminately put down on various issues, and no one could question the CXO. It was done in a subtle way. The COO support also made it impossible to do or say anything against the new CXO, as old trusted employees were shunned, and he got his own set of people to work under his strategy. New policies were made rampantly and a fear psychosis prevailed. When people started quitting, the MD noticed. However, the COO came to the CXO’s rescue, until the day came when the former quit. This new CXO hire was now directly under the MD’s lens. Without the protective shield of the COO, the new CXO could hardly field the difficult questions put in front of him by the top management. And after a few months, he decided to quit. . But the impact he left behind was very negative. He had changed too many policies, replaced too many vendors, and hired too many new people for different roles. Upon my own re-assessment on the talent hunt, I reflected that I need to be more careful with assessments of people. People hide their true self under many masks, and thus the question arises how do you sift the wheat from chaff? Indeed, an eye-opener for me. Do an interview in some informal setting outside the office. Your goal should be to listen. A safe space for discussion and some common ground is useful. Reference checks are very important. When done carefully, they can uncover a lot about the person, their values and the context in which they learned, failed to perform or succeeded. As someone who is tasked with vetting candidates, one needs to talk to the right people to know more about the candidate. They must foster trust and confidentiality. In a background check, it was found out that a candidate who was being hired for onsite customer care was excellent in telephonic resolution. Not so much on onsite. While the candidate believed otherwise. Rein in your biases. The psychometric tool is the useful reference point for understanding the person. Be careful while using it as it may be right sometimes and wrong at others. Use your discretion wisely. Use a real-life situation or a problem to validate and check the candidate’s responses as it helps analyze a person better and deeper. Someone who has never dealt with launching a brand for a new company may or may not be equipped to launch something from scratch without a good team. The organizational culture of the past company, their position in the market and the product can also have an impact. It may not match with the current company. For example, someone who has worked in Fortune 500 company may not be used to cold calling customers in semi-urban areas. If the role demands that, then mismatch is evident. Alignment with culture does not mean hiring clones, but someone one who can create positive disruption while retaining the core values. Cross-functional exposure is useful in developing people and their ability to un-learn and re-learn the ways of doing business when required. I also get other people to observe the candidate and give their feedback– right from the peon to the secretary, my peers, and bosses, basically anyone who interacts with the candidate when they come to the meeting. Once, the peon remarked that a potential candidate got very angry as the saucer was slightly wet- a clear sign of intolerance and lesser compassion. You should make your own observations too. Observe how the person is, in a relaxed setting. I remember meeting a senior managerial level person in a mall. He parked his car in the spot for elderly/disabled saying he had back pain. He said that he’ll move the car if someone with a more serious condition comes in. I observed that he was merely enjoying his beer, while his wife was tugging along tons of grocery. On probing, I learned that she suffers from a back problem and it was for her benefit that he used the handicap parking spot. But he didn’t even offer to push the cart – a sign of hypocrisy. There may be various techniques/psychometric analyses that will tell you about a candidate. For me, along with these, I have fairly used intuition to take a judgment call. I may not be right always, but I am a work in progress. For people in talent acquisition, you need to remember that you need to be at your best and always start and end things with grace and dignity. To be a good onboarding coach, a clarity of Key Result Area’s (KRA) helps in paving the way forward. It helps in ironing out a lot of small issues before they build up and get out of hand. A COO was used to having green tea and the office pantry did not stock them. He requested for the green tea and they were arranged for him. But he went a step further by installing a small kettle in his room. As his onboarding coach, I saw this and advised him to rethink this small movement of his. He was a new leader in the organization and he would be the only one to have the tea facility in his room. It didn’t reflect too well on him. On the other hand, if he got the same kettle installed for everyone in the pantry, he would benefit in multiple ways. His walk to the pantry will allow him to connect socially and informally with other colleagues in different departments, give him a sense of valuable grapevine, and be a beneficial exercise. He thanked me later for this suggestion. Naveen Khajanchi is CEO & Director of Executive Search Service (A Division of NKH Foundation Private Limited) which specialises in Leadership Search for Large Conglomerates. An alumnus of INSEAD, he also is an Executive Coach and Family Business Advisor. Ever been interviewed in a moving car?